Pacific Homes is a locally owned family business with over 100 years of building experience, which has been responsible for a thousand plus houses in the Whangarei area. At the outset Pacific Homes were synonymous with quality brick and tiles homes at affordable prices, this has not changed today. Although today we are now known for providing excellent quality homes in all ranges, while still providing superb quality and value for money. Pacific Homes employs its own architectural designers who are available to help you with your own personalised plan or adjust one from our extensive range of pre designed homes to suit your needs. Pacific Homes offer a professional design service that works. Our Home Consultant and Architectural Designer will meet with you on the property or at our offices at 51 Hannah Street and discuss fully your requirements and then produce a concept plan of the home. That's total peace of mind, based on years of experience. That's total peace of mind, based on years of experience. Fixed Price Contract. The price of everything is calculated carefully and accurately. We guarantee you a fixed price quotation. Customer Service Package. Pacific Homes will develop a customer relationship by providing your own building supervisor/customer service person to look after you and always be at your service. An exciting home buying experience. Pacific Homes will build you a home that is competitively priced and will be of exceptional design and quality that will provide you with an investment you will be proud to own. Experience & Reputation. You will benefit from the experience, reputation and expertise Pacific Homes has gained over their many years of building new homes. Total Quality Assurance. Your home is built by craftsmen, by people dedicated to using their skills and knowledge to create a home, your home. Homes for all tastes and budgets talk to us about how we can make it work for you. Land / sections. 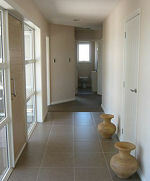 Pacific Homes have an excellent selection of land packages in many areas in and around Whangarei. Come share your dreams. It just could be the best decision you have ever made!